The Outlier New Way Shorts are some of the best tech wear around for perpetual travelers—versatile, submersible, and aesthetically minimal. The blending of form, function, and aesthetic is strong with the New Way Shorts. 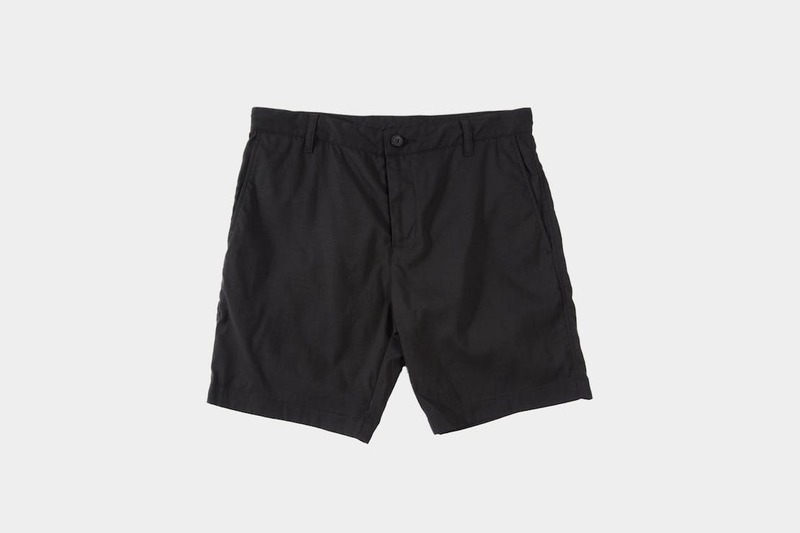 Upon first look, it seems like they’re an ordinary pair of shorts—and they pretty much are—but they have a couple hidden features that make them a great pair of swim trunks too. We opted for Dark Navy in order to keep things neutral. They are a little short – meaning – above the knees. If you’re in the mood for something a little longer, try the New Way Longs. Tom is 6’2” Inches (189 Centimeters). The mysterious Swedish fabric is a two way stretch and are 97% nylon and 3% elastane providing a decent amount of stretch without looking like ordinary swim or gym shorts. The fabric is designed to be in water, so, no biggie if these get wet / soaked—they’ll also dry quickly. 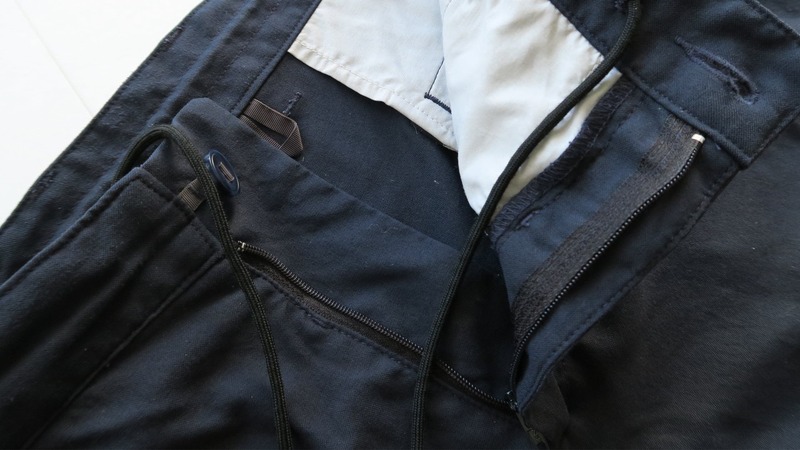 One of the best features of these shorts (hah – shorts have “features”) is the strong drawstring that’s tucked away inside. These are perfect to use while swimming—just tie them up and tuck them inside. 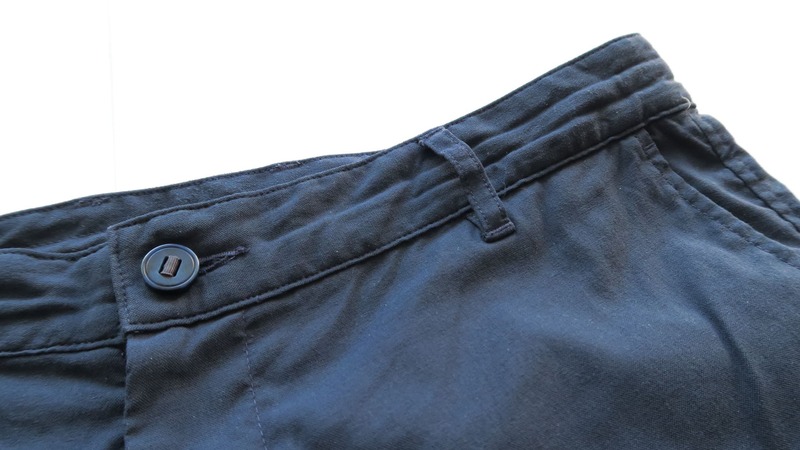 In addition to that, the shorts have belt loops if you’re feeling a more polished look when you’re out of water. The weight of the shorts at a size 33 is 9.5 ounces (270 grams). Nothing special as far as the weight goes, but due to the fabric, these don’t retain bad smells as much as other shorts out there, so if you bring a pair or two of these, it’s safe to bring less than you normally would. This’ll also cover your shorts and swim trunks need all in one package. There’s a hook on the inside to hang them up, or, you can use one of the belt loops. The pockets in the front are decently deep, which will help keep your items secure. We wish there was a zipper or button on one of the back pockets to make these even more secure from the people that get a kick out of eyeing and taking wallets that don’t belong to them. These things are great right out of the box. 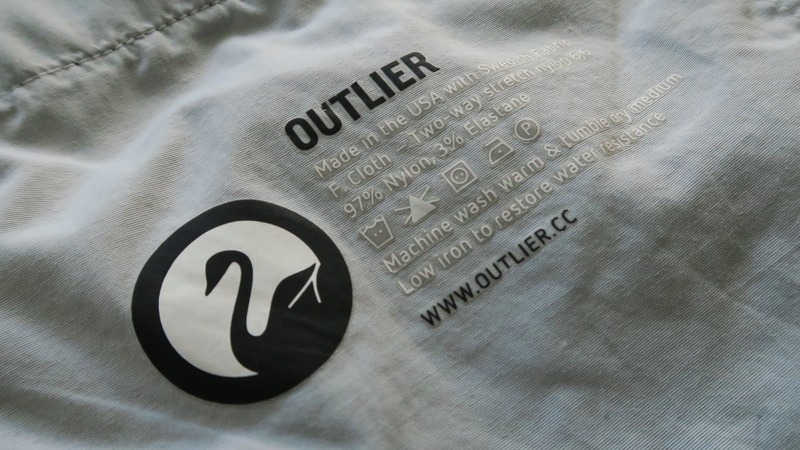 Outlier is known for making quality products. Pools. Oceans. Everyday shorts. Still good in all situations. Fading in color and starting to show some slight fabric pilling. Not as aesthetically good as they used to be, but still rad. Color is fading more now, likely due to throwing it into Chlorine or saltwater weekly. 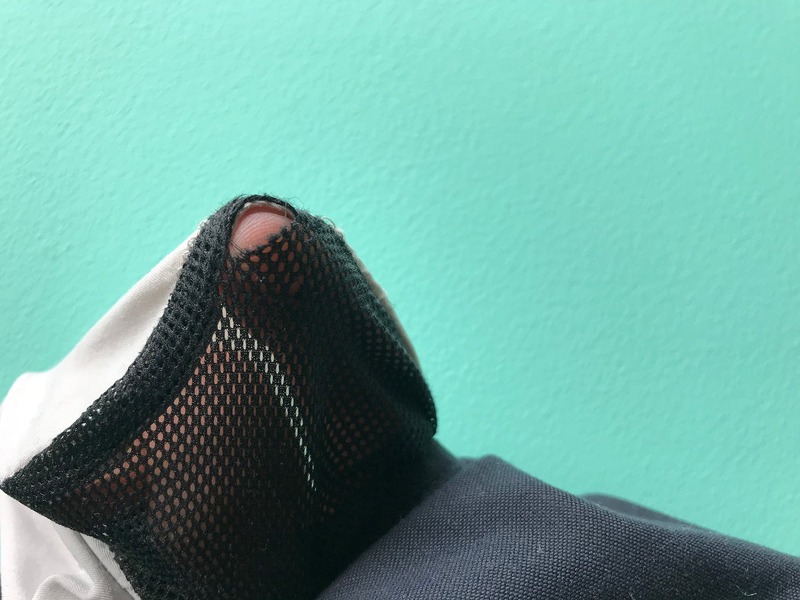 After two solid years of use, there’s a hole beginning to form in the left pocket between the mesh material and fabric. Multi purpose shorts that are great for travel. Hidden drawstring is great for swimming and generally for keeping your shorts from falling off and you looking uncool. Deep pockets for all the stacks of cash you carry around. Shorts are a little bit on the short side. 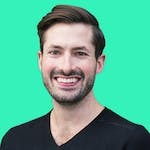 If you like longer, you may want to look at the New Way Longs. A zip or button pocket would be a nice addition to keep items secure. These look good. They feel good. 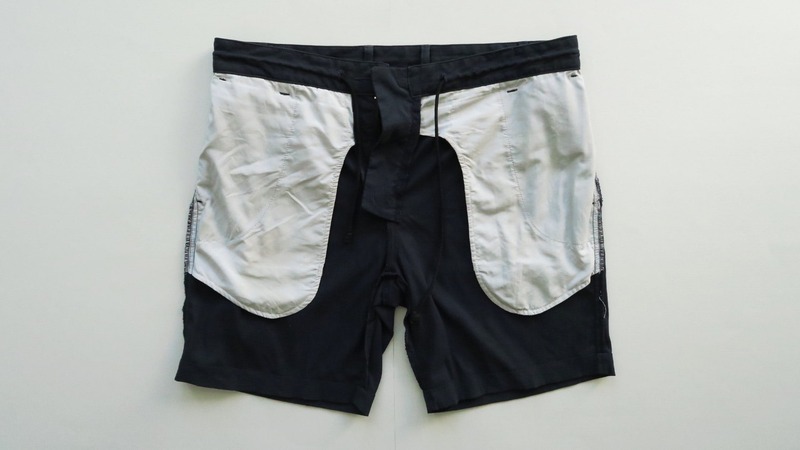 They pull double duty, combining a pair of shorts and swim trunks into one. Strong recommendation from us.